A Nobel Peace Prize For WikiLeaks? : The Two-Way Should WikiLeaks be awarded the Nobel Peace Prize because it holds governments accountable for their actions? A Norwegian lawmaker thinks so and has nominated the controversial whistle-blowing website. Every year there are contoversial names floated as potential Nobel Peace Prize winners. 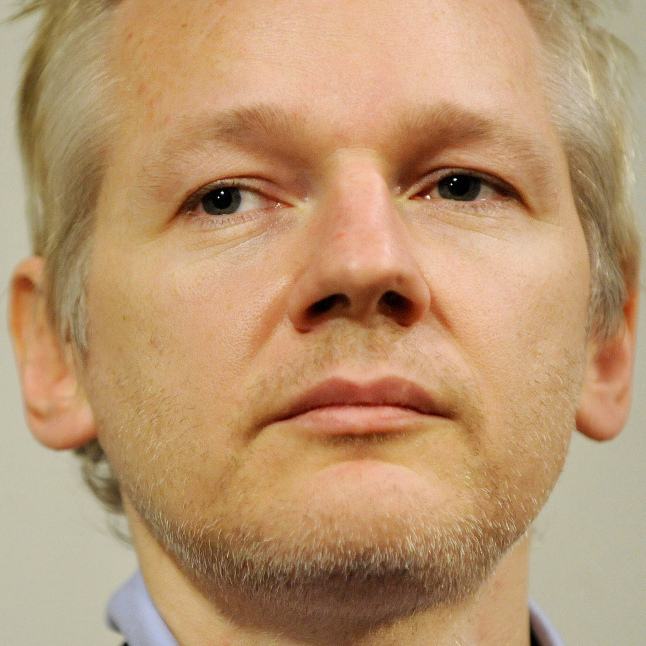 WikiLeaks founder Julian Assange (Jan. 17, 2011). And sometimes controversial winners are chosen. Former Vice President Gore (lauded for his advocacy on climate change) is one example. The selection of President Obama in 2009 raised eyebrows because his time in office had been so short. Now there's this, from the Associated Press: "A Norwegian lawmaker has nominated WikiLeaks for the 2011 Nobel Peace Prize, saying Wednesday that its disclosures of classified documents promote world peace by holding governments accountable for their actions." Critics have said WikiLeaks' disclosures have put lives at risk — including those of American intelligence officers and the sources they cultivate. WikiLeaks founder Julian Assange's most recent comments about what he does and why he does it were on CBS News' 60 Minutes this past Sunday. We'll keep the question open until midnight Thursday. Reminder: This isn't a scientific survey designed to measure public opinion. It's a question aimed to stimulate discussion.